With the rolling time and trolling dates, the shape, size, and usefulness of the clocks have also changed a lot. 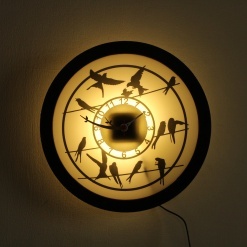 Earlier the clocks were used only to update the time and were placed in a common room, however, now it is added into the best home décor list and is an item to adorn your entire home. 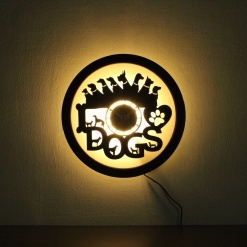 In this concern, we at www.fufuh.in bring many funky, unique and designer clocks to embellish your home sweet home at the rate of your punctuality. 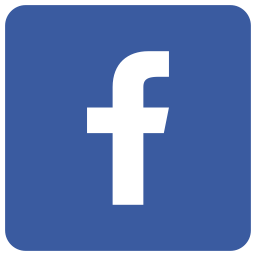 Our epic list of the same includes a variety of range comprising of traditional to modish, scenic to trendy, interest specific to person specific and bodily to humanoid themes. The range offered at fufuh is varied and definite to meet your interests. We all like to bedeck our interest in every form and nook of our house. Then it hardly matters that, ‘what this interest is all about’? 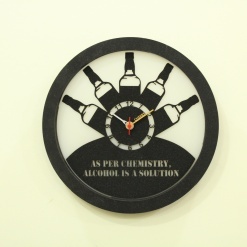 We care about you and your interest and therefore bring to you uniquely designed wall clocks. 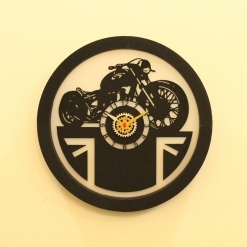 Our exclusive range of clocks varies in their artistic design i.e. 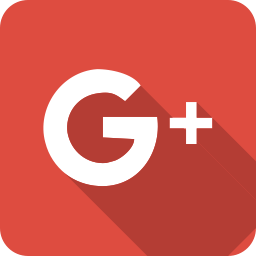 bike design for bike lovers, music pattern for music lovers, Yoga Aasans for Yoga lovers and travel patterns for travelers; every reason for you to enjoy your interest in the very distinctive manner now. Our person specific range is one that can make any occasion even more special by presenting a special gift to someone very special. 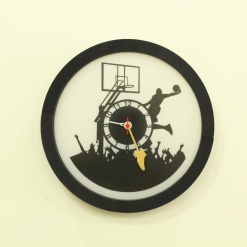 We also have clocks according to the personality of a person that comprises of girlish carved clocks for girls and basketball or football wall clocks for sports people and much more. 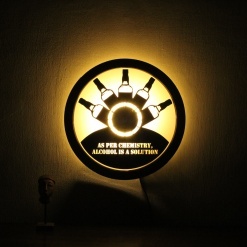 The latest craze - bodily and humanoid theme clocks are the best selling ones. 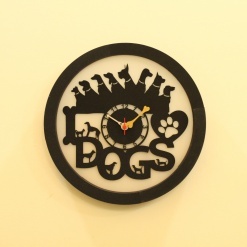 If you are a pet lover or are daring to see a perilous creature, we present here cute dogs and deadly dragon wall clocks to live up to your need. We also have humanoid theme wall clocks which are not only creative but also looks very imperial once placed on the wall. 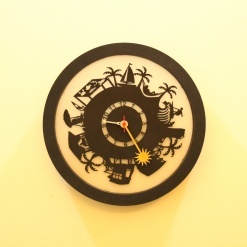 Our range of handmade, traditional, modern and unique wall clocks includes clocks representing incredible India, Laxmi Ganesh, and instrumental themes. 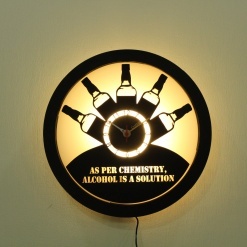 These clocks not only look pragmatic but also very logical in their outlook. The scenic clocks are very refreshing in their stance. They look equally beautiful and, of course, add to the glory of the wall. This range varies from beach beauty, birds, galaxy and many more. All these clocks are designed after great hard work and craftsmanship of our experts and are therefore easy to maintain. 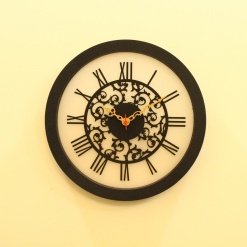 You can buy wall clocks online from us even in many more varieties and specifications. 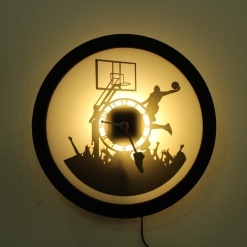 Just add your favorite wall clock in the cart in whatever number you want to purchase, check your amount, add any coupon code if you have any and proceed to the payment gateway. Your order will be shortly delivered to your doorstep safely by our representative. 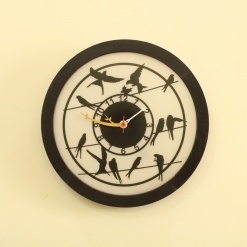 Trust us, when we say that you will enjoy the adornment of every corner after you buy clocks online India from us. Our range is the most diverse yet classy one. 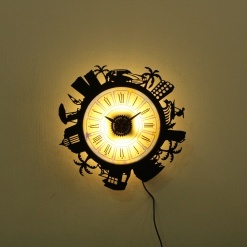 Buying wall clocks online is one of the favorite hobbies of those who like to add a touch of serenity to their homes. Yes, you can buy these clocks from the local shops also. 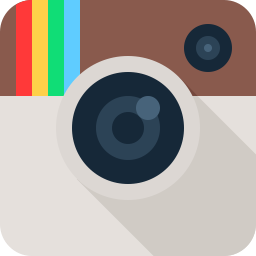 But, you won’t get that special feeling which you will definitely experience while searching the online shops for the multifarious wall clocks. 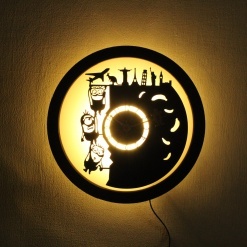 Fufuh is one such online store where you can actually browse through a whole world of decorative wall clocks, starting from the cheesy ones to the coolest designs. 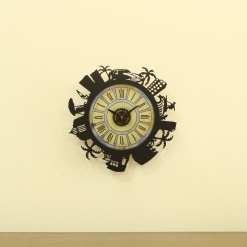 Mostly carved of wood and black material, the clocks are made into different designs, like a tree, a biker, and so on. 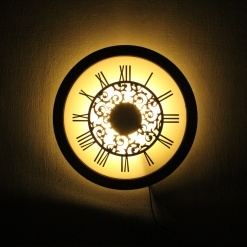 The circular clock sits right at the center, enhancing the designs in a flawless way. Fufuh offers not only a varied collection but also a varied price range too. So, you won’t have to worry about spending a lot to buy wall clocks online. 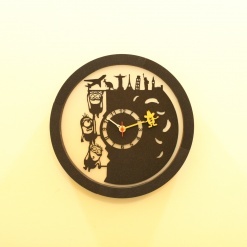 Another specialty about the Fufuh clocks is that you will get a clock resembling your persona. 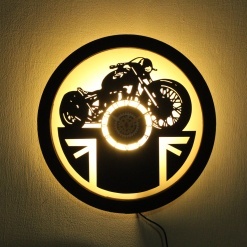 For example, if you love cars, then the ‘I am Gear Head’ wall clock will be best where, surrounding the clock, different sized gears of different designs are there. Again, if you love beaches and have this crazy obsession for the palm trees, then the ‘I love beach city’ series of the wall clocks will be ideal, suiting your personality. 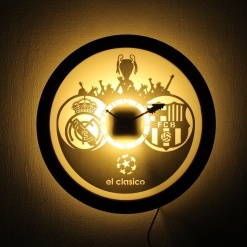 Where do you buy the best wall clocks online? 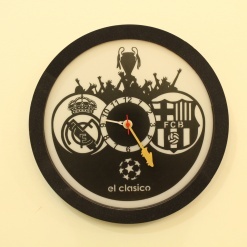 Fufuh is the place where you will buy wall clocks of your choice. You get an opportunity to make your own statement with their collection. 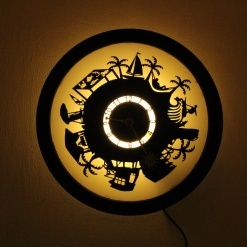 For instance, they have this innate collection of the wall clocks with an inbuilt light. 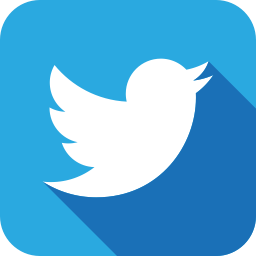 So, in the dark, your clock will glow, thereby making it possible to see the time even at the night without you topping things while looking for the phone. The next series is the fridge clocks, which has a magnet so that you can attach them with your refrigerator doors. These clocks also have a rewritable pad, and hence, you can leave notes for your kids. If you want something out-of-the-box, then you can try the Boom Box wall clock or the Morrison wall clock.